Tried on the double dot scuba yesterday. So cute, but SO stiff and uncomfortable! Blows me away how different items that are marketed as being the "same thing" can be!! Other Scuba III that I own are SO soft! Thank you SO much for the comparison. 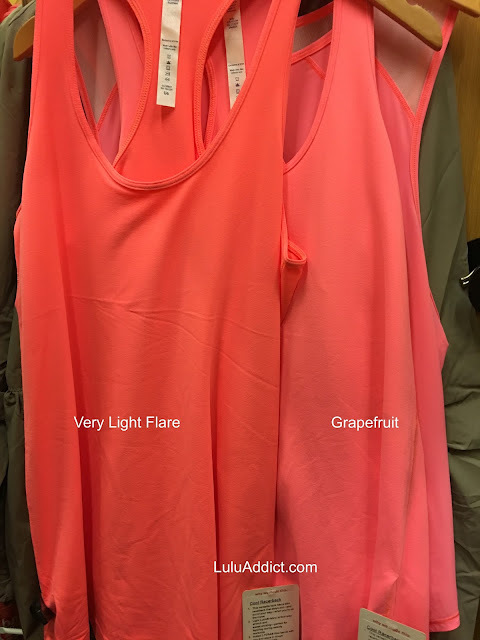 I have grapefruit power y and just ordered flash light and very light flare power y. I loved grapefruit on me but disliked the pink lemonade color. 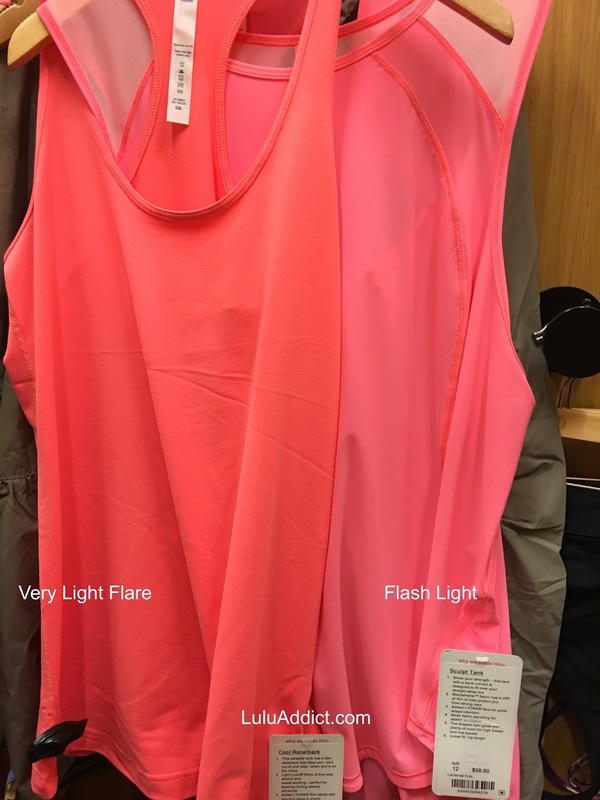 I also have from years ago a flash power y so eager to compare the light to the "full on" color. The only downside is that I look way better in these in summer! I tried on the ray power y and in my pale winter skin I looked sickly. Thanks for the comparison. Grapefruit is the nicest of the bunch. Tired of LLL producing this same colour though. I had Flash Light a few years ago, wore it once. Never chose it again and sold it. I also bought Grapefruit this year: never took the hang tag off and too late to return it, also sold it. Where are some nice, non-florescent coloured CRBs in non-heathered versions? And NOT in the pink family! Thanks for these images. I recently picked up a swiftly racerback at my local store on MD. It is a pink-ish slightly orange color but the color name was not obvious to me from the tag. For the life of me I could not figure out what color it is from Lulu's site either. I am pretty sure it is the flash light color thanks to your post. 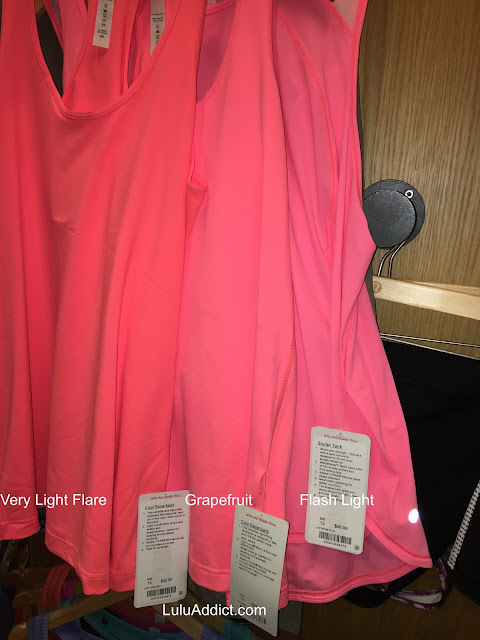 I bought the flash light in the hit your stide skirt that is on the website, and I really like the color. It's an orange,rose blend. 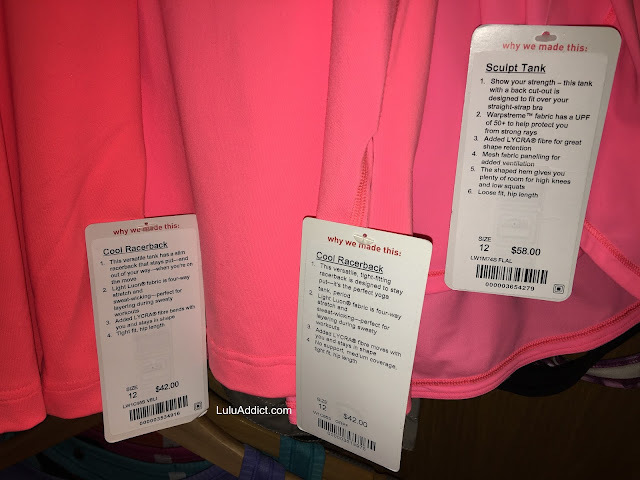 I do agree with some of you that lulu repeats color way too often, or re names colors to make us think that it is a new shade.